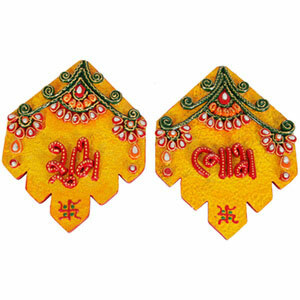 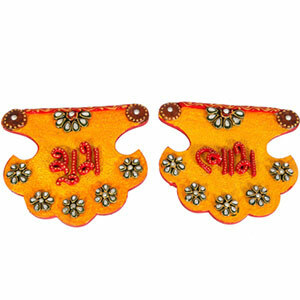 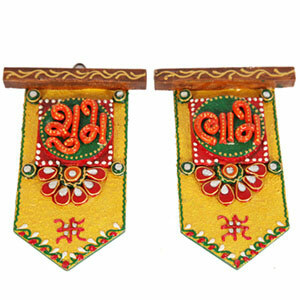 This eye-catchy and detachable Artificial Rangoli Design is easy to buy online to decorate home and other places of your choice. 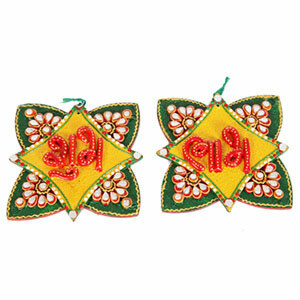 It is fiber-based design and you can use it to decorate the floor to welcome guest. 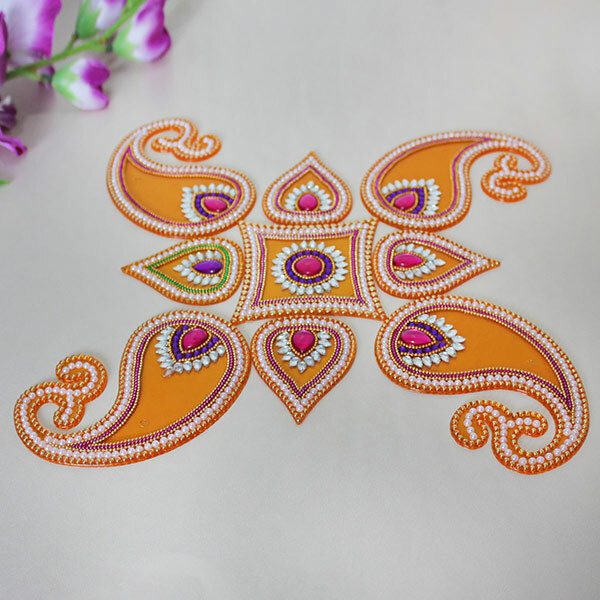 Prepared using colorful beads and stones, this Rangoli design with its appealing look is a perfect gift for dear & near one on Diwali.